Life is hardly a walk in the park but it's the little things that count like turning your garden or your terrace into a showplace with this adorable set of garden tools, which will make you want to trim and snip away. 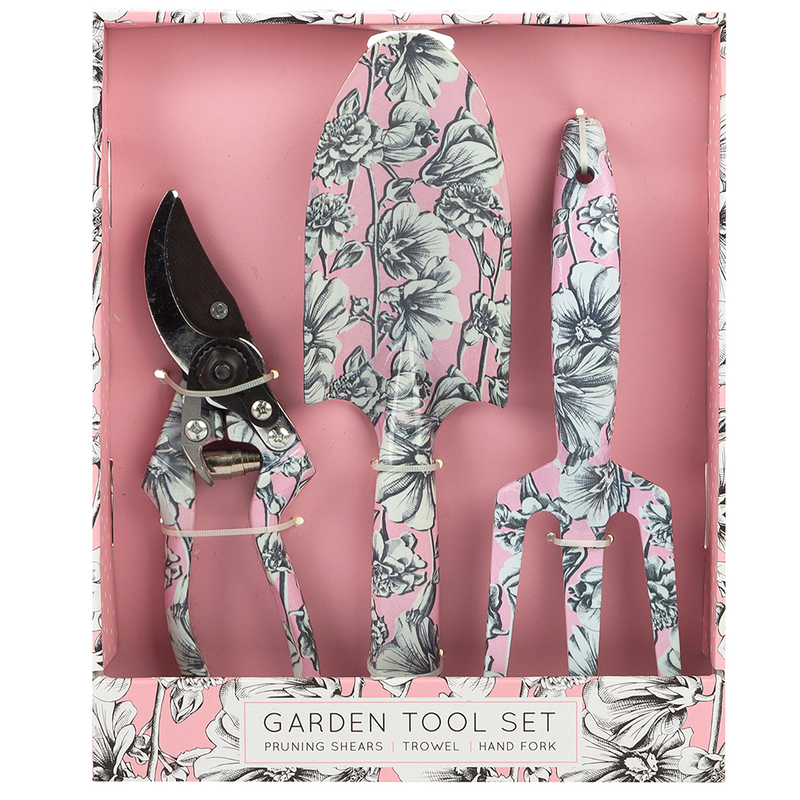 A.T is an Australian-owned company that makes all sorts of fun, quirky objects for the home, including this sweet set of Floral Pink Gardening Tools. Made from steel with a glossy painted finish, this set includes a fork, trowel and secateurs – so your tools will be almost as picture perfect as your home grown bouquet. Crafted from steel with a gloss paint coating. Garden essentials for those with a green thumb. Pruning shears to trim small branches and stems. Trowel for digging soil, turning up the earth and potting plants. Hand fork for loosening soils, removing nasty weeds and aerating soil. Gentle rinse under water when required. Presented as a three piece set in a gift box.